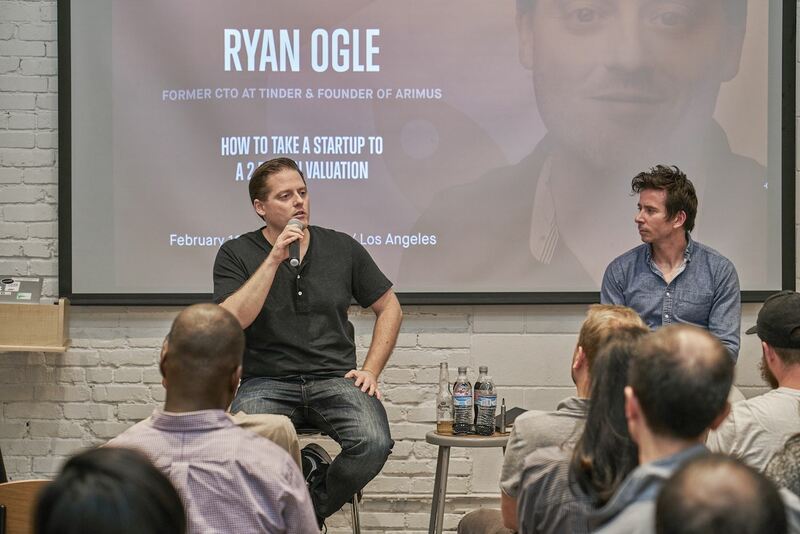 As the original CTO of Tinder, Ryan Ogle knows a thing or two about growing a $2 billion startup from the ground up. We invited him to come talk about his tenure at the world’s biggest dating app and how he hopes to find success again as the CEO of his own startup, Arimus, which recently released a professional networking platform called Ripple (which STRV is helping to develop). The fireside chat was moderated by STRV Co-Founder David Semerad. WHY WAS TINDER SUCH A SUCCESS? A lot of it was having the right product at the right time, and we worked really hard to make that product. But it was also definitely half luck. 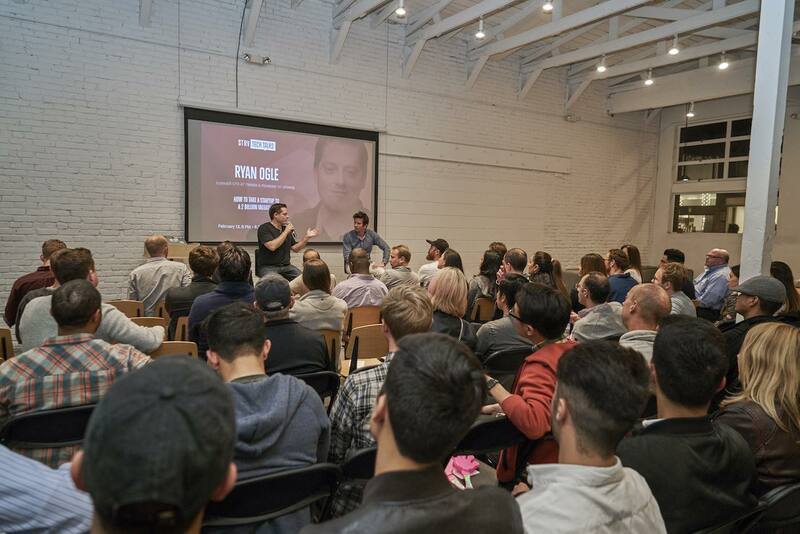 It just so happened that I met (Tinder co-founders) Jon Badeen and Sean Rad at the right time, and it just so happened that we had this idea that hit the market at the right time. I think it’s hard to have a huge success without a little bit of both. WAS IT THE SWIPE FEATURE THAT MADE TINDER SO POPULAR? I think the reasons why Tinder succeeded are deeper than that. I think that a lot of the most successful apps don’t do anything totally new and unheard of. But they do it slightly better, slightly more efficiently. They do it with a new twist. I think the reason Tinder succeeded was that there had been zero renovation in dating for a very long period of time. It was mostly geared toward working professionals. There wasn’t anything for the average college student or millennial to go off and meet someone. Tinder was the first really accessible app to people of that generation. You need to spend as much time, maybe even more time, on your growth strategy as you do on your product strategy. I also think people think they need to get everyone to download the app and use the app at the same time. And that’s not true. If Tinder had tried to get everyone in the United States, or a city or state, it would have been really hard to get that base number of people that made the app useful for that set of people. But if you go after a really small demographic, that’s all you need, and then it slowly spreads from there. WOULD YOU RECOMMEND STARTING WITH iOS, ANDROID OR BOTH? It really depends on what your team structure looks like. Ideally, of course, it would be great if you could do both, but I think most startups kind of have to pick one platform or that other, and iOS, quite frankly, is the better platform because every VC you talk to and every person you might want something from generally uses iOS. But you should be prepared, if your product does well, to get to Android very quickly. It took us almost a year to get to Android, which was a big mistake on our part. We eventually also did a web app and that did really well. We take for granted that everyone has a smartphone, but if you are going international, that is definitely not the case in certain places. WHY DID YOU TO LEAVE TINDER? I was there for five year, and it was among the best experiences of my life. But the fun part for me and a lot of those very early Tinder people was that very beginning phase. We just loved coming up with new ideas and building them and seeing if we could take it to market, and we just kind of had that burning desire to do it all over again. And Tinder had solidified enough and started growing into a larger corporation, and we were ready to go back to the beginning and do it all over again. And so three early Tinder people left in the summer of last year, and we are kind of doing that beginning part again, which we love. Ripple is a new professional network. It’s about meeting new people and expanding your network and making a network that is more useful, less salesy; 90 percent of communication on LinkedIn is sales and recruiters. What we want to build is a real network of people who actually want to talk and communicate and share things and meet new people. WHAT IS THE BIGGEST CHALLENGE WITH THE APP RIGHT NOW? I think it’s just finding that right product niche. I think we have some pretty good ideas about how we want to grow this thing. Think about all the events that you go to and all the different places where you are meeting people. These are great places to promote Ripple. What we are trying to do right now is to find what that right balance is; what people really want to do on this thing. 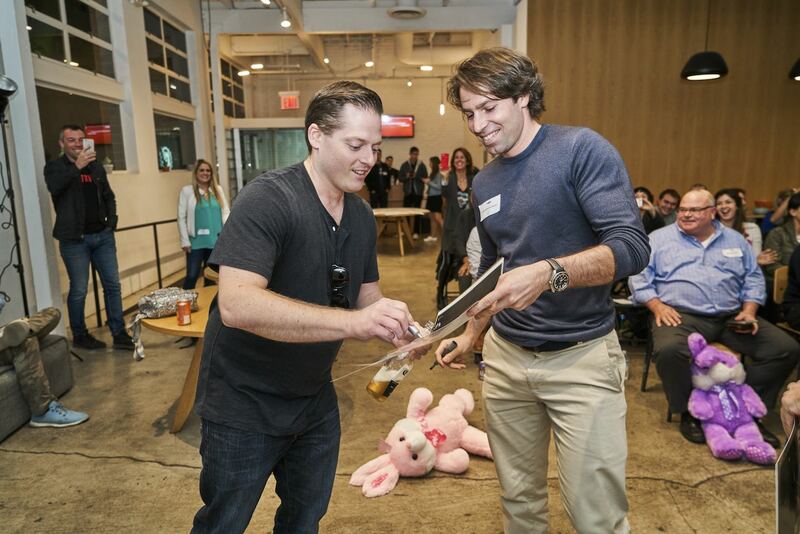 WHAT ADVICE WOULD YOU GIVE TO A FOUNDER JUST STARTING OUT? If I wasn’t a technical person, I would probably want to find a technical co-founder. I would focus on MVP. It doesn’t have to have all the bells and whistles. What you want to do in the very beginning is just prove that you have something that people like. Build a very minimal MVP and find a technical co-founder. Finding great, great co-founders is the single most important thing you’ll do. HOW WOULD YOU RAISE MONEY? The best way to get into a VC is through a VC that you already know or someone that you know that knows the VC. Cold calling and kind of doing it blind is really tough. Finding the right VC is super important, because now more than ever VCs are getting more and more specific. Finding your target and then finding a way to organically introduce yourself is probably the best in my opinion. 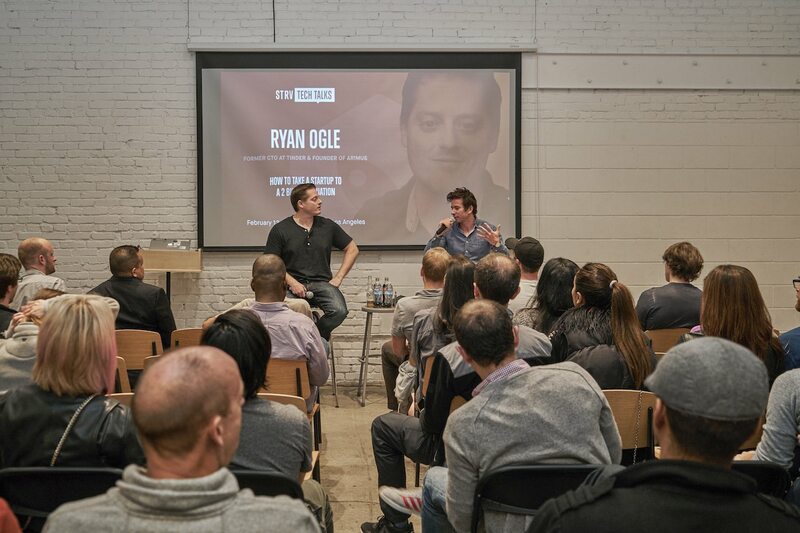 Ryan will be our guest also in San Francisco on May 23! Reserve your spot on Eventbrite today!